Several fresh Zambian faces caught the eye in the Chipolopolo's African Nations Championship opener on Sunday, with Lazarous Kambole notably marking his debut with a Man of the Match display. As well as winning the CAF award, the ZESCO United forward also opened the scoring for Wedson Nyirenda's side, and delivered a bright showing before tiring somewhat during the second period. The more established Fackson Kapumbu is already a prominent figure within the national side, and was named in the shortlist for CAF's African Player of the Year award after a fine campaign with ZESCO and the Chipolopolo. He's one of several new faces to have breathed life into the Central Africans' senior side, and on the evidence of their CHAN opener, the likes of Ernest Mbewe, Augustine Kabaso and substitute Friday Samu will have a prominent role to play during the 2019 Africa Cup of Nations qualifiers. However, against Uganda, particularly during a first half in which the Cranes came out of the blocks quickly and threatened to assert their dominance, some of the team's older -and less glitzy - names demonstrated the value of experience. 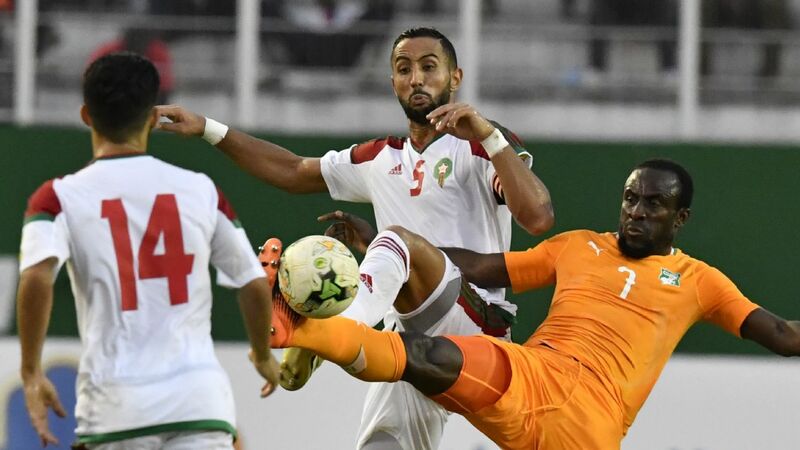 Two of the team present in Morocco were present three years ago in Equatorial Guinea, as Honour Janza's Chipolopolo crashed out in the group stage after taking two points from their three games. However, while the likes of Roderick Kabwe, Ronald Kampamba and Patrick Ngoma from that squad kicked on and secured European moves, Donashano Malama and Kondwani Mtonga have remained at home, with the two trading blows in the Zambian Premier League for Nkana FC and ZESCO United. Rivals in the ZPL, perhaps, but when a Ugandan side rife with talented attacking players turned on the heat in their group opener in Marrakech, it was Malama and Mtonga who stuck together in the heart of the park, slowed down the contest, and helped some of the team's younger heads through a tricky patch. "The experience of the two players - Malama and Mtonga - helped us so much," Nyirenda told journalists after the match. "The first half was all Uganda, they controlled the game, played very well, were organised, kept their shape. "But we really showed some character, we didn't concede, and we came and hit [them] on the counter." Nyirenda also acknowledged that a first-half tactical reshuffle involving Chipolopolo's two experienced heads in the centre of the midfield was critical in Zambia weathering the storm before taking the initiative. "In our [original] plan, it was Kondwani who was playing behind Donashano, but when we saw that things weren't working, we had to change the move," he continued. "We changed, Kondwani moved in front of Donashano, because [the latter] was a bit hard [in possession] and he was quicker to get the balls. "Kondwani lost many balls and was chasing, but the [Uganda] players were too quick," the coach added. "So we had to make the change and, being experienced players, they adapted quickly so it helped us so much." During the opening round of the African Nations Championship, there's been something of a dichotomy between those teams who have been able to boast almost their full senior side - notably Libya and Sudan - and those with more inexperienced teams who have nothing in common with the full senior side. Zambia, with a clutch of talented prospects build upon the bedrock of the experience Malamo-Mtonga axis, straddle the two camps, and it's a blend that could well give them an edge over CHAN opponents as the tournament wears on.